With the last few weeks being jam-packed full of exhilarating live shows and radio airplay, Newcastle classic rockers for the 21st Century Tomorrow Is Lost have continued to make the most out of their whirlwind rookie year as a band. Now Tomorrow Is Lost are taking the next step up by celebrating the release of their debut single Insane, which released on Saturday (28th October). The release was celebrated with a sold out live show at Jumpin Jacks in Tomorrow Is Lost’s hometown of Newcastle, and the band have now unveiled the official music video for the song to take it beyond the North East to the rest of the UK and beyond! “Insane is only the first of three chapters in the Shadowman series of singles which will be released over the next 6 months. From the early days of planning the video we always had ‘the asylum’ sort of idea in mind…but as the ideas grew and grew – the song gave birth to a whole concept and a much wider story; which will all be revealed as the next upcoming singles are released. We had such an awesome time filming the video up near a village called Allendale in Northumberland – there was much blood, water and near accidents on the day it we had such a laugh and can’t wait to start working on the next one in the new year! Director, Scott Canty (Dark North Media), completely gets the concept and everything that we’re trying to achieve with this! He was literally the perfect person to work with on these videos! Not a band to rest on their laurels despite the release of their new single, Tomorrow Is Lost have more shows lined up very soon, including support slots with bands as varied as Bigfoot and The Dead XIII. From there, Tomorrow Is Lost will turn their hands to recording new music for 2018 and getting out on the road as much as possible. For ticket information for all shows, please see the Tomorrow Is Lost Facebook. Having met in the flesh just twice before their first performance in early 2017, it’s been a whirlwind year so far for Tomorrow Is Lost. 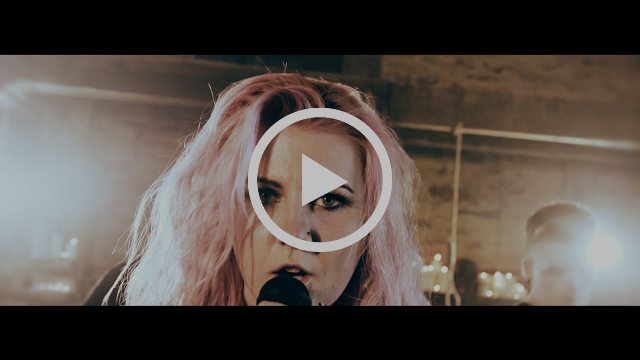 With vocal powers to rival the likes of Debbie Harry, Joan Jett and Lzzy Hale to name just a few, Tomorrow Is Lost are fronted by the awesome Cass King. Joining Cass are guitarists Joe Mac and Ryan O’Hara, drummer Andrew Taylor and bassist Adam Clements. Already developing a reputation for powerful, mesmerising live performances despite their short time together, Tomorrow Is Lost are going to be a band to watch in the months to come. Take your eyes and ears off them at your own risk.